Experience has shown that a good new business manager in an advertising agency has a different mindset from the majority of her established colleagues. Such a mindset is essentially entrepreneurial and these persons have a knack of sniffing new business opportunities with greater enthusiasm. This attitude actually stems from the survival instinct of a keen business woman that if new business is not coming then it is not possible to survive and grow in a competitive market. Managers may be classified into either Maintenance Managers or Entrepreneurial Business Managers. A good maintenance manager services existing accounts well and keeps clients happy. But she lacks the power and energy to go the extra mile. An entrepreneurial manager not only does her job well keeping clients happy, but also searches for new opportunities through new challenges that appear to her. An entrepreneurial manager sees a recessionary market as an opportunity. The marketer is constantly reviewing the brand’s performance, marketing inputs & strategies including advertising. The client is always looking for innovative solutions for his brand. An entrepreneurial manager is able to demonstrate her interest by presenting a fresh perspective to the problem. She can also rise up the career ladder faster. One of the basics of preparation is to make a list of prospects by category. Parameters used to gauge the ‘satisfaction index’ may be Category, company, brands, size of business, agency/s, number of years with existing agency, level of dissatisfaction with current agency, top managers of the client company and proposed new launches / brand extensions. For example, one could make, as a rule, 10 cold calls in a month, generating responses from at least 4 and convert at least 2 pitches. At this stage one may prioritise the ‘hit list’ on the basis of the reputation / brand, size of business and its potential, satisfaction index, agency’s experience in the category, and contacts at the client’s office. New business prospects may be categorized as cold, lukewarm or hot accordingly as when contact establishment, pitch presentation opportunity and short listing /negotiation has been completed. New business calls should not be delegated. It is a top management responsibility and the likelihood of success is higher if it is treated that way. Business leads can come from anyone who matters in the prospect’s company. Make one person at client’s office the ‘ambassador’ or your spokesman. 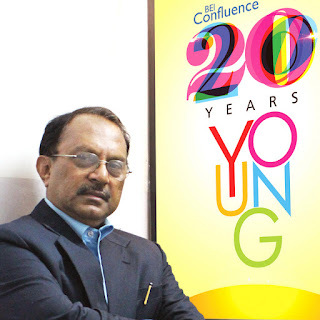 He may not be a decision maker, but can be an influencer and informer. In a multi-agency pitch, go for over-kill. That means not only outstanding presentation but also creative ‘effects’ that leave a lasting impression. For example, when one of the world’s most reputed writing instruments company from the UK was entering India, McCann Ericsson made a pitch among others. The agency’s extra effect consisted of hiring an exhibition hall for the presentation and putting up for display, a collection of vintage writing instruments made by the prospect’s company since its inception along with old posters and other items connected with the brand in that Gallery. The team from UK was very impressed. McCann won the account. And this experience of ‘effects’ came to good use when McCann pitched on the Coca-Cola brand against formidable rivals Lintas. While the presentation was greatly guided by McCann’s Atlanta office, the ‘effects’ were mind-boggling. At Oberoi Mumbai, and with active support from the Hotel, the management had made to order a giant 6 ft tall Coca-Cola bottle made of ice. This was specially installed by the Hotel right in front of the presentation venue at the Oberoi. The Coca-Cola International team stood in front of the exhibit before entering the venue, completely ‘frozen’ for a few minutes, appreciating the ice sculpture. McCann Erickson won the Coca-Cola business easily. New business is rarely won across the table. But sustained effort at pre-selling and post-selling often does the trick. Pre-selling is when you make an impression with the client before the actual presentation and they start believing that you are someone they can co-opt as their professional partner sharing the same passion for their brand. Post-selling includes follow by up starting with a ‘Thank you’ letter for attending the presentation preferably with a token memento. Continue to engage the prospect’s attention. Send him competitive information, interesting news items relevant to his company/brand and specimens of your good creative work from time to time. He may not always send you a thank you note, but you will certainly be at the top of his mind.